In 1970 he produced his biggest ever hit ‘Double Barrel’, a ground breaking track that went on to be the biggest reggae track of 1971, reaching the very top of the UK national pop charts in May, and peaking at number 22 in the US Billboard charts in August. 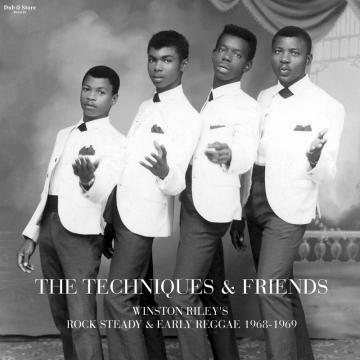 After this pop success Winston Riley continued working as he always had done, producing top quality reggae tracks with a host of Jamaica’s finest singers and musicians. After opening his shop in Chancery Lane, he continued on his quest for the best throughout the 70’s, 80’s, 90’s and into the 21st century, never failing to bring his decades of experience and peerless production skills to bear on whatever contemporary music he was producing. Winston Riley was at the forefront of the Jamaican music business for over forty years, an authentic reggae polymath who had embraced the roles of singer, songwriter, arranger and producer. He had been making plans for a new studio and museum in his Orange Street record shop right up to his death in 2012. He was truly one of Jamaica’s hardest working and most consistent producers, and these two albums represent only a very small part of his huge musical legacy. No.2 at Total Ranking on Mar 24, 2017.